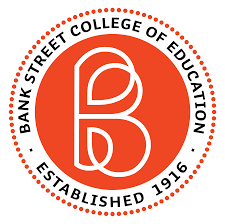 The Children’s Book Committee at Bank Street College of Education has released the 2019 edition of their annual book list The Best Children’s Picture Books of the Year in Spanish. The list is for picture books published or translated in 2018. The Best Children’s Picture Books of the Year in Spanish was created by native and non-native Spanish speaking members of the Children’s Book Committee as well as employees, alumnae, and professors of Bank Street College. Each book received the same vigorous review as works submitted for our “Best Books of the Year” list in English. This list will be sent to librarians and elementary teachers around the country and is available on the Bank Street College of Education website. Attendees at the March 9, 2019 mini-conference Diverse Voices in Latinx Children’s Literature will receive a copy. If you are a Spanish speaker and are interested in reviewing for the Children’s Book Committee, please contact Cynthia above.